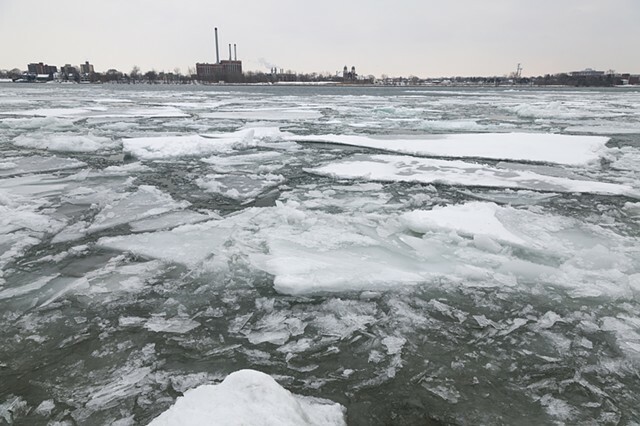 Taking advantage of an icy Detroit February in 2018, Lorena Cruz-Santiago and I responded to Donald Trump’s fantasies about the Southern Border Wall against Mexico with a wall materialized from the border itself. 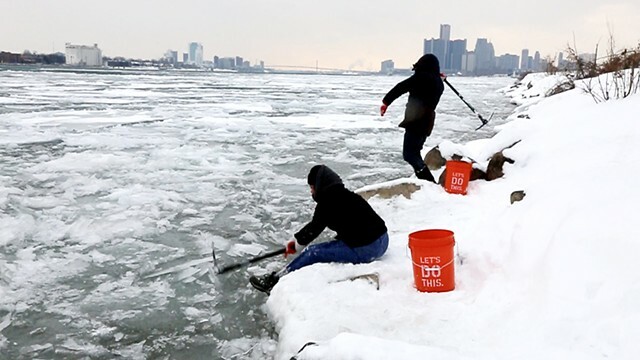 After a trip to Home Depot, we headed to the shores of Belle Isle to harvest border ice with pick-axes made in Mexico and buckets made in the USA. 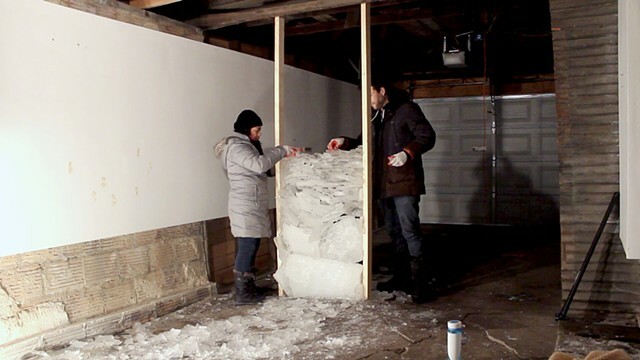 We piled up fragments of the border between two 2 X 4’s of lumber from Canada. 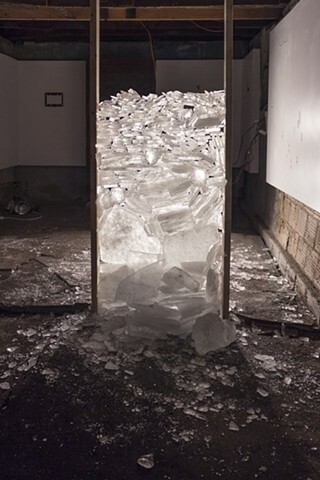 We left the wall to stand for the current freeze before melting in the inevitable heat of the future.